The ball point game is one of the oldest games, but it is very efficient because most of the agile values and principles. It is perfect to illustrate how to work as a team and continuously improve. 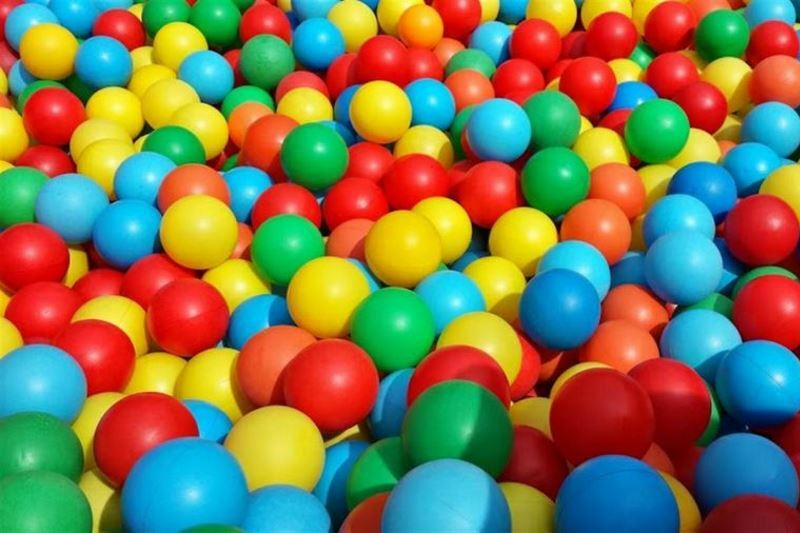 You will need around 100 plastic or foam balls. and two baskets (or any kind of open container). You will also need a whiteboard or paperboard to keep track of the team’s realization. Have people stand up and group together while you explain the rules. The person who puts the ball in play is the only person who can put it out of play in the destination basket. Each ball must be touched by every team member. Balls cannot be passed to your direct neighbors (the people directly next to you left or right). Any ball that falls on the floor or does not respect the rules is a defect. There is a total of five iterations. One iteration lasts 2 minutes. The team has 1:30 minute to improve between two iterations. If people ask you any question regarding the rules, just tell them that all they need to know is written in the rules. Give the team 2 mn to figure out the rules and self-organize. Then ask them for an estimation of the number of balls they think they will be able to process. Use a whiteboard or paperboard to write down the estimation for the first iteration. Launch the game. Make sure the team respects the rules and be quite drastic about it. Make sure you announce time on a regular basis. Count down when there is only 10 seconds left. Give the team 1 minute to retrospect and improve. If you want to put less pressure and insist on continuous improvement, increase that time to 1:30. Tell the team to focus on improving instead of counting the balls. While the team is talking, count the number of balls the team has processed and write it down on the board, next to the estimation. You can also count the number of defects (balls that fell on the floor) and write it down on the board. If you don’t have time to count the defects, provide at least a trend (using emoj), to see if the number of defects have increased or decreased compared to the previous iteration. Put all the balls back into the start basket. A the end of the improvement period, don’t forget to ask for an estimation and write it down. When the timebox for improvement is over, start the iteration right away. Try to be drastic about time keeping. It’s part of the learning objective. During the second and next iterations, try to put the team under pressure. If the team is not trying so hard, make sure you raise their level of commitment by stating that the previous team you played with managed to process 2 buckets of balls, or that the world record if 159 balls in 2 minutes. Take your time to debrief with the team. Ask how people communicated with each other. Ask about the kind of improvements the team did, during the improvement period and during the game. Ask how the person who was putting the balls in and out of play was feeling (he/she is a bottleneck). It’s usually a load of fun to play, and to facilitate.